William Ben Hogan's (1912-1997) golf swing is considered the most studied athletic action in the history of sport. Hogan turned from caddy to professional in 1930 at the age of eighteen. He did not win a single tournament during his first decade on the PGA Tour and went broke twice. In 1946, Hogan made a startling discovery about the golf swing that transformed him into the greatest ball striker in the history of the game. This discovery, he declared in 1948, was so sensational that he wouldn't divulge it anyone, not even his wife. In 1949, Hogan met with an accident that left him with broken legs, hips and pelvis. Doctors feared he would not walk again, let alone play golf. But Hogan made an incredible recovery and bounced back to win the US Open in 1950, the so-called Miracle at Merion. Hogan’s golfing achievements, steely determination, stoic demeanour and remarkable ability to overcome adversity created the famous Hogan mystique and made him an American Icon. In 1951, Hollywood made a movie titled 'Follow the Sun' on Ben Hogan. In 1952, Hogan appeared on the Ed Sullivan Show. Hogan's famous Triple Crown came in1953 when he won three Majors - the US Open, The British Open and the Masters. He could not compete in the fourth Major that year - the PGA Championship - because the dates conflicted with those of the British Open. In 1955, Hogan stated in the famous Life magazine article that he had a Secret. 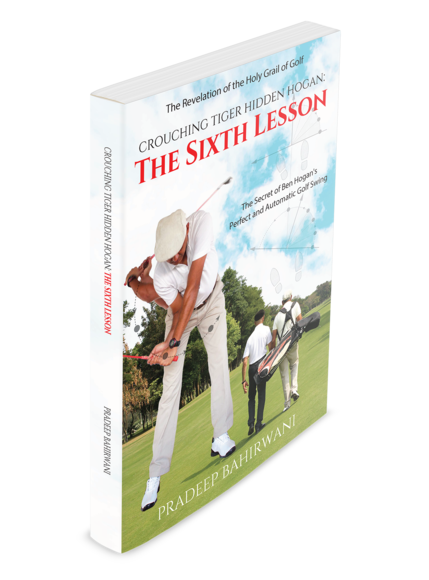 In 1957, Hogan published his best selling book Five Lessons: The Modern Fundamentals of Golf. It is still the highest-selling golf instruction book today, with over a million copies in print. In 1997, the Master passed away and the Secret was lost forever. It has become the Holy Grail of Golf , a Secret that has remained un-deciphered in the past six decades. 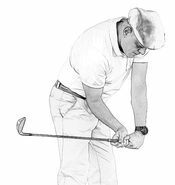 In 2016, the golfing world will discover the Secret behind the Master's Perfect and Automatic Golf Swing. Hogan was not being modest when he said that he never did perfect it. That was yet another Hoganism. We shall discover, among other things, what made him stop short of perfecting it. CX : The third clue to the Hogan Code is on pages 72 and 73. Identify the hidden circle and trace the travel of its arc.